Human Rights Watch (HRW) is an international nonprofit, nongovernmental human rights organization that defends the rights of people worldwide. 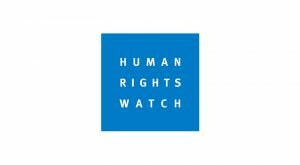 Founded in 1978, HRW aims to investigate human rights violations, expose findings widely, and pressure policymakers to respect rights and secure justice. This grant supports HRW’s work in the United States exposing human rights abuses perpetuated by U.S. policies and practices, especially in the areas of criminal justice and immigration. Some of HRW’s priorities in the area of criminal justice include reducing the country’s reliance on incarceration, and investigating the consequences of bail practices on low-income defendants in California. Priority areas for HRW’s immigration work include protecting family unity, safeguarding immigrants from workplace abuses and crime, and focusing enforcement efforts on genuine security threats.